Day 6 is taking a turn for the saucy. I didn’t mean for me to took like this in the photo, but Man Piece just kept taking pictures and as it turns out this was the best one of the lot. Seriously, the others I just look horrible, so really I am saving you from having a “Gah! My eyes!” moment. Or you might be having it anyway for having to see my pasty white, flabby arms. 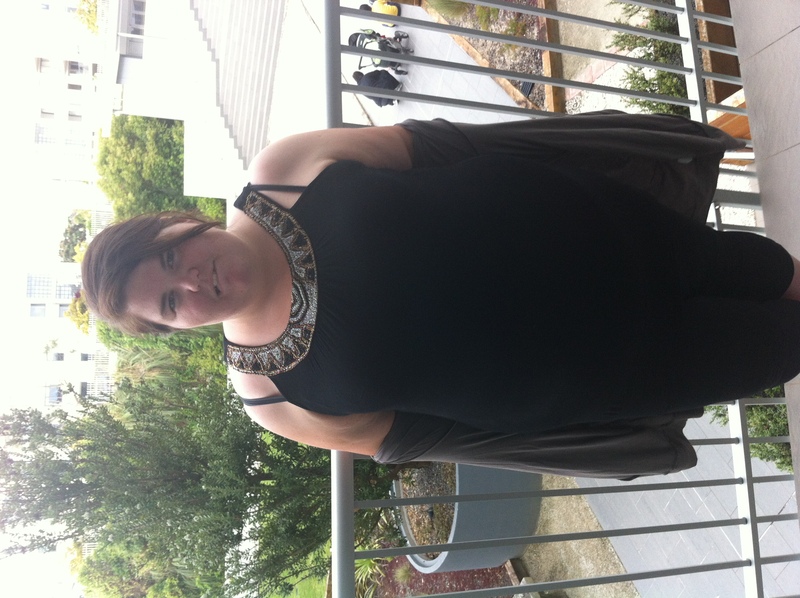 Plus, I’m being my true Hawke’s Bay self with my bra straps showing #stayclassy. You can take the girl out of Hawke’s Bay, but you can’t take the Hawke’s Bay out of the girl. Even if I do live on the Shore now. Anyway, back to the dress. It is from Pagani and what really caught my eye was the detailing around the neck. Loves it. This is quite a good piece too, cause I can wear it with leggings in the summer as a dress and with jeans in the winter as a long top to hide my muffin top named Bob. Yes I have named by stomach, it is an entity in itself and deserves the honour of being named. I was much more comfortable today wearing cotton, but you know how thighs touch? The entire day I have been very aware of this and that when i walked the rubbing made and “trch trch” sound. Yes, I also happen to overanalyse. You people probably think I’m weird.